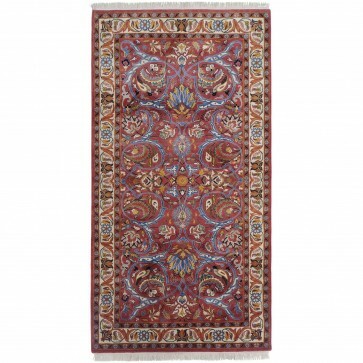 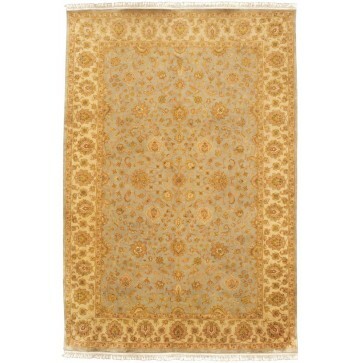 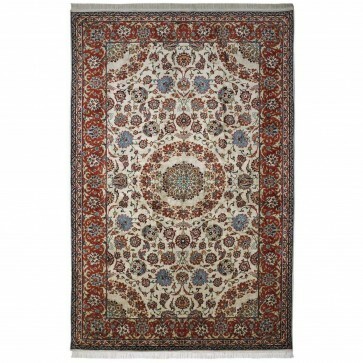 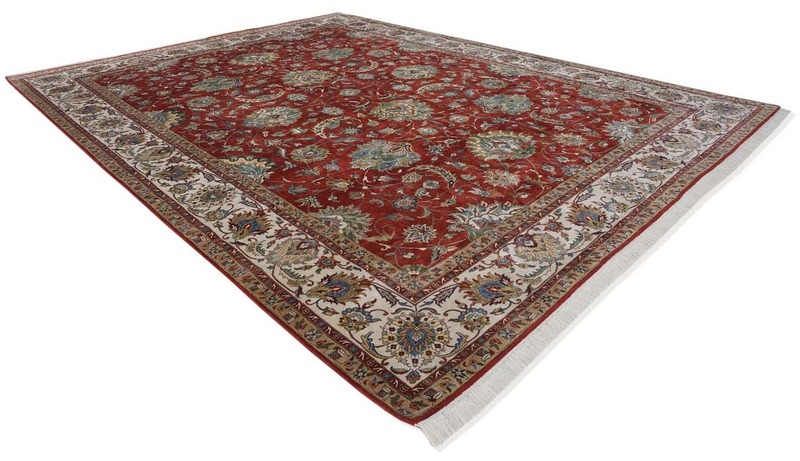 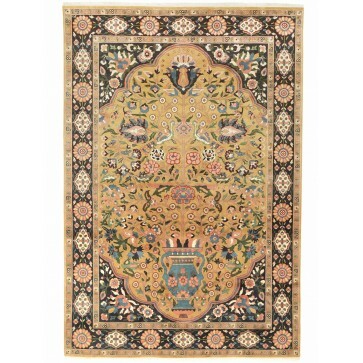 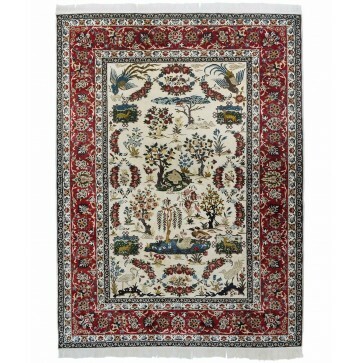 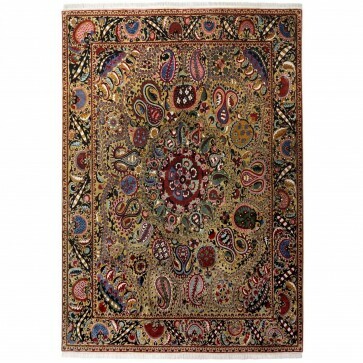 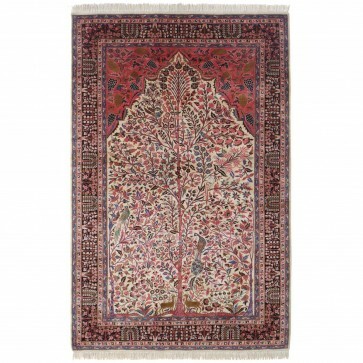 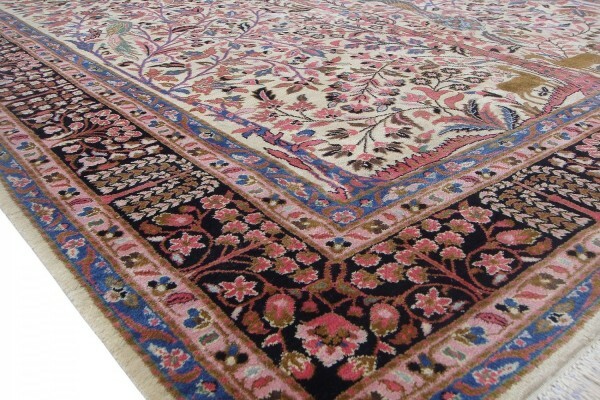 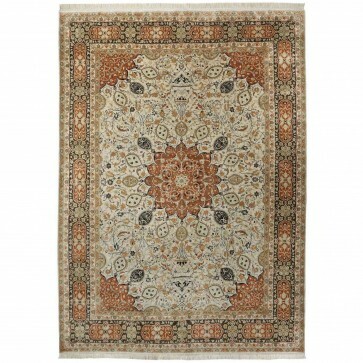 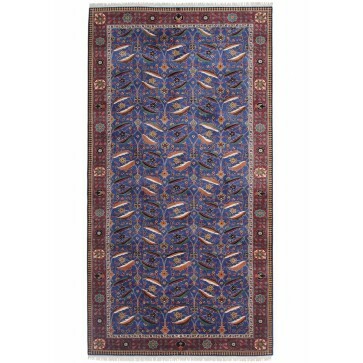 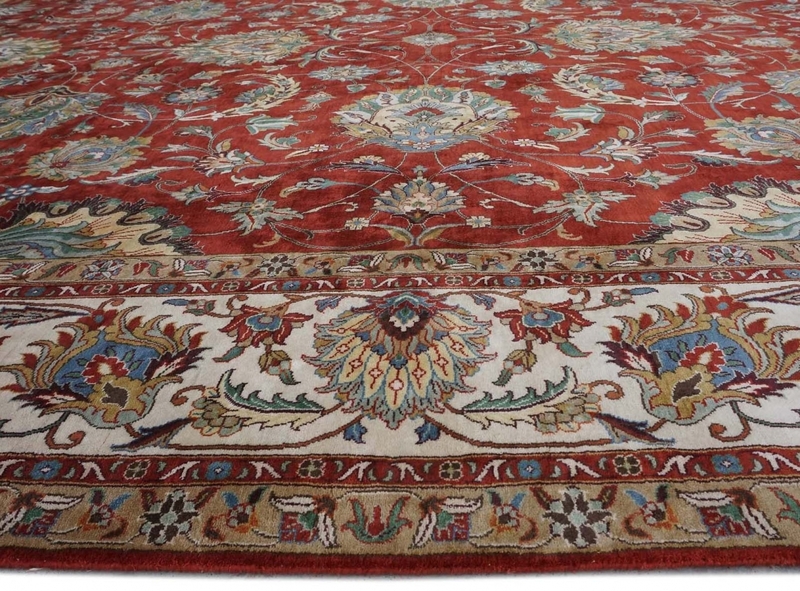 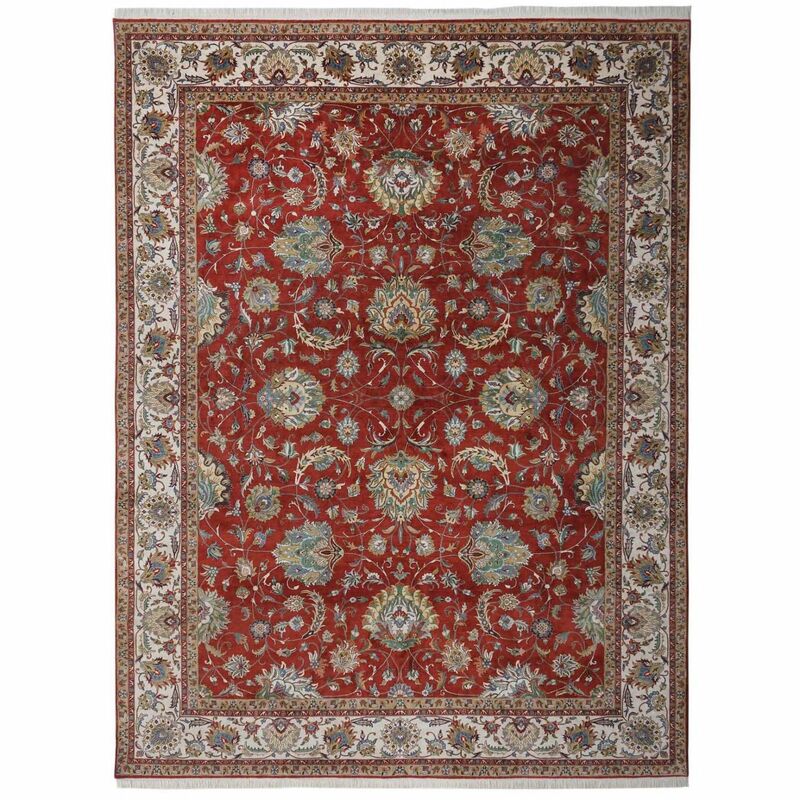 A fine Tabriz design carpet with pure silk pile hand woven on a cotton foundation to 256 knots per square inch. 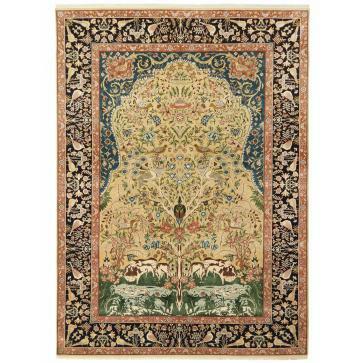 A fine Tabriz design carpet with pure silk pile hand woven on a cotton foundation to 256 knots per square inch. 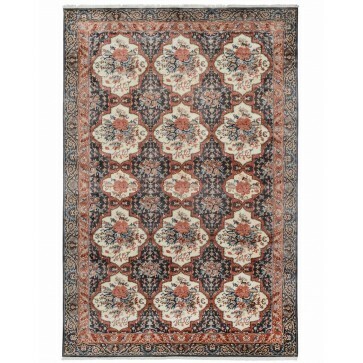 After an original in our archives, the design features an all-over pattern of stylised blossoms with leafy tendrils pale golds, greens and blues on a terracota-red field framed with a repeating border on a pale background.